We hear sounds all around us all the time, but we can’t actually touch them. The only exception is when we can think of it as a physical presence, as the vibrations that sounds create in other objects. The idea that something so intangible as sound can lift or move material without having to touch anything seems unbelievable. But acoustic levitation does just that and uses sound waves to handle dangerous and fragile materials without contact. A team of researchers at the University of Bristol, England called Bristol Interaction Group (BIG) have invented a sonic screwdriver gauntlet (or GauntLev) by utilizing the properties of sound waves. 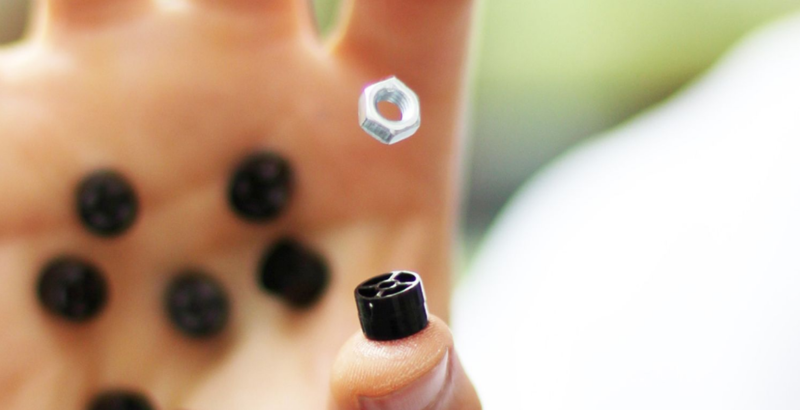 The Gauntlet puts acoustic levitation in the palm of your hand using wearable acoustic levitators. Apart from the main device, GauntLev, BIG has also developed a ‘Sonic Screwdriver’ and ‘Ultra Tongs’ that levitate small particles in mid-air using acoustic levitation. The devices can be used manually but for better stability and accuracy, the team has also designed it to work with a computer. Currently, BIG can levitate small objects, but the plans for the future could revolutionize the production and transportation of dangerous and fragile materials.